Welcome to Dial a Dog Wash, Basingstoke, Reading & North Hampshire - a convenient, personal mobile dog grooming service that comes straight to your house. 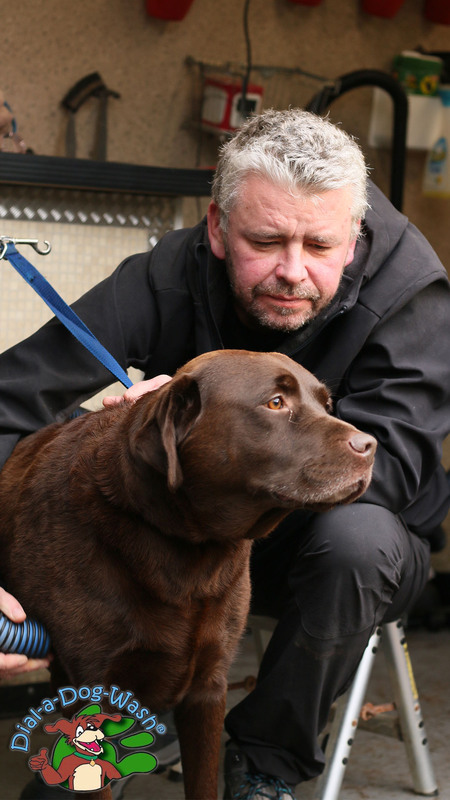 Professional Dog groomer, Matthew Fox, has been in the profession for over 10 years and is highly experienced with a wide range of dog breeds and temperaments. Dial A Dog Wash, Basingstoke, Reading & North Hampshire, provides all of the services that you would expect from a traditional grooming service with far more convenience, together with a host of additional benefits. Why use a mobile dog groomer? Dial a dog grooming services is convenient as we come to your house at a time that suits you, meaning no travel time or waiting around is needed for our clients- we free up your time. Your dog will be hand dried, not cage dried and we only use natural products that contain essential oils which are gentle on dog fur. All dogs are individually groomed to reduce stress and ensure they get maximum pampering. Our mobile parlour is fully heated for the winter months, and all dogs and breeds are catered for- from small pooches to the largest of dogs, no one is too much for Matthew. For more information call Matthew on 07794 774449 to discuss your mobile dog grooming requirements in Reading and surrounding areas.